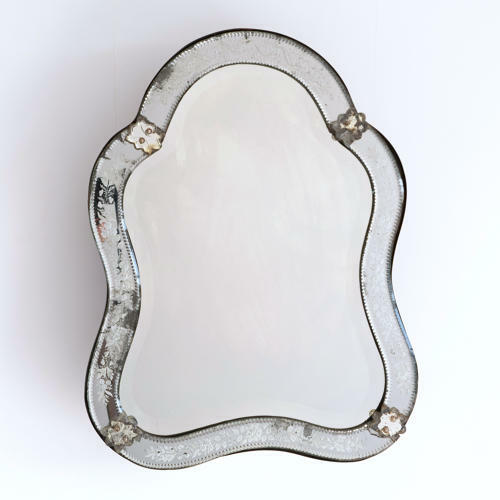 A beautiful early 19th century curved Venetian mirror with rare original bevelled mercury glass plate to the centre, with foliate and leaf decorated margins. The mirror's solid wood back features a unique integrated flush fitting stand that allows it to be used as either a dressing table mirror, or wall hung. Italian circa 1840.